A topknot (Zeugopterus punctatus) seen whist diving in Martin's Haven. 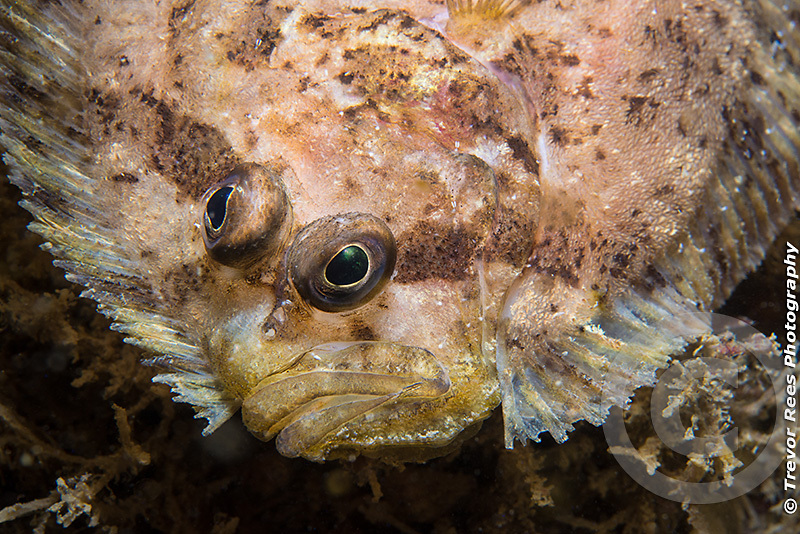 It is a small left-sided flatfish, round in shape, It has a distinctive mottled brown and white colour with a dark bar through the eyes. Its fins all the way round its body together with a small tail help to identify it from other flat fish. It is generally found on rocks and stays motionless to avoid detection.